Those who enjoy hiking in the great outdoors for extended periods of time know that it’s very important to have adequate shelter from the elements. Backpacking tents are easy to carry along with you on your hikes and will provide you with a place to rest, sleep and stay dry. A tent will also keep insects and other wildlife from bothering you. Here at ReviewMoon, we will provide you with reviews on some of the best backpacking tents on the market today. 2.2 Other Tent Features To Consider…. Any of the tents you see above are excellent choices, but we have chosen a few that are favorites. Below you will see our top 5 favorite backpacking tents along with some detailed information. So lets gather around a camp fire and explore! 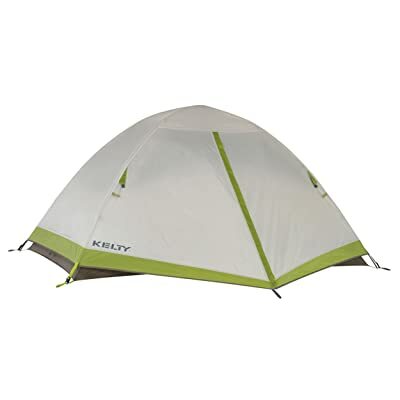 This 1-door backpacking tent will accommodate two people and it’s dome shaped. The center height is 48” and there is a port where you can connect items to an electrical outlet. The large rear hooded window will allow air to flow freely from there to the screen window located on the entry door. The canopy covering keeps you dry while still allowing air to flow through the tent. This is a nice classic design from Coleman and is popular with hikers and campers everywhere. The floor is waterproof so you’ll stay dry even in the wettest conditions. This tent is easy to set up and take down. Customers rave about this and say it takes less than 10 minutes to set up. This will allow you more time to enjoy the great outdoors, because you’ll be free from the long labor of setting up your camping tent. One customer raved that he is 6’ tall and slept comfortably with about ½’ to spare. He also liked the hook in the middle of the tent where he could hand an LED light! If you’re on a budget and want an inexpensive backpacking tent, this one is a nice option for you! Lots of ventilation in this tent really allows you to enjoy great cross breezes and will keep you cool and comfortable. This backpacking tent is lightweight at under five pounds, so it’s easy to carry with you when hiking. There are only two poles, too, so set up is easy and it’s also easy to take down. It’s waterproof and weatherproof, so this tent will withstand the winds and rain. 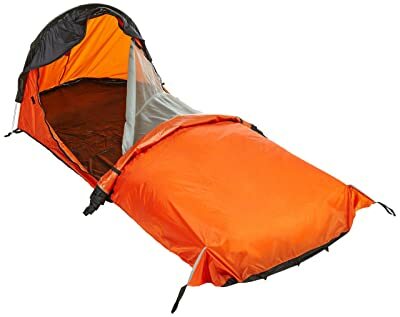 You can use this tent comfortable in spring, summer and fall seasons, and it sleeps two with no problem, though you might be shoulder-to-shoulder. It’s the perfect tent for one person, as you’ll have room for all your gear and room to move around freely while you’re sleeping.. The copper color is an added bonus. It looks so nice and blends well with nature. 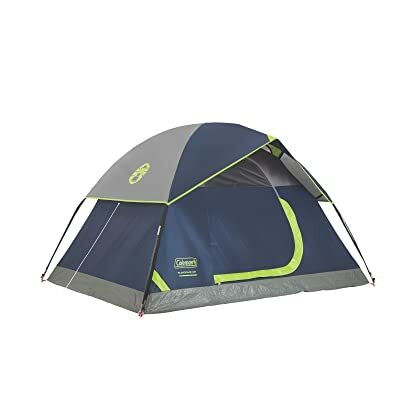 Customers rave that this is an excellent tent for the money. It’s perfect for backpacking and sleeping. They love the ease of setting it up and taking it down and the well ventilated windows and doors. This waterproof, breathable one-man tent weighs only 2.5 pounds, so it’s super easy to carry with you when backpacking. It’s not going to offer you room to move around and store your gear, but it will shelter you from the worst storms and keep the insects off of you! The size will comfortably fit just about anyone. You’ll get a clear view of those starry nights with the ventilated overhead area, too. For campers who don’t mind small spaces and for backpackers who want to carry the lightest load possible, this one-person tent is a must have! This tent fits even the big guys with room to move. Customers rave of its quality and roominess. It’s perfect for keeping you dry and sheltered from bugs and other creatures of the night. This would make a nice gift for the people in your life who enjoy hiking, biking, camping, canoeing and other outdoor activities overnight. Get one for yourself, and some as gifts for others. You no longer have to be weighted down with a heavy tent, when you have this lightweight bivy’ to keep you sheltered and dry! This tent has two doors and ample space for moving and sleeping. When packed it measures 6” x 21,” so it’s perfect for backpacking and hiking. Bring it with you on your next canoe trip, too! 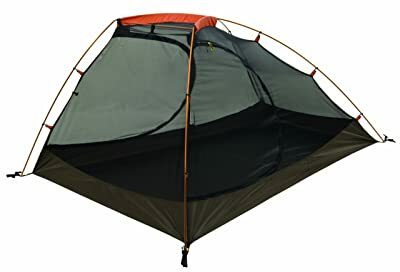 This tent is waterproof and easy to set up and take down and weighs around 3 pounds, so it won’t be too heavy to tote with you like some others might tend to be. The adjustable fly vent allows you to look at the stars as you lay down. What a great way to fall asleep! Make sure you close it if there’s a chance of rain, though. Some say that it’s a bit tight when sleeping two people, but if it’s someone you’re close to, that might not be a bad thing. It’s perfect for one person and their gear, though. You’ll like this tent for backpacking! This tent offers you a panoramic view of the great outdoors while providing all-around ventilation! This is a great tent to hot nights, and sleeps one comfortably. It will sleep two, but you’re going to be a bit snug. One person and their gear will do well in this backpacking tent. When packaged it weighs over 4 pounds, so keep that in mind before purchasing. That’s only about a pound heavier than some of the lightest backpacking tents, but if you’re carrying a lot of gear, sometimes one pound can make quite a difference. Customers say this tent is very light without the rain fly, but you’ll want to take that along in case of rain. They say one way to cut back on the weight is to only take two poles with you which seems to be enough to hold the tent securely in an area where it’s not extremely windy. This tent holds up well under rain and hail! What is your budget or how much money do you want to spend? Keep in mind that a better tent might possibly come with sturdier poles and offer more waterproof protection, too. How many people will use the tent on a regular basis? Only you or two or more people? The size and design of a tent should be considered when figuring the average number of people who will use the tent. How much does the tent weigh? Remember you’ll be carrying the tent with you either on your back or in your hand. Pole materials, fabrics and other factors will determine the weight of a tent. What shape and style tent do you prefer? There are many to choose from. Think about whether you’ll need the tent mainly for sleeping, or do you want one you can walk around in, sit upright in or visit with family and friends in? A-Frame: When you look at these tents from the front (door opening) they resemble the letter “A.” These tents are perfect for 1-2 people and are made more for sleeping than they are for sitting inside and socializing. This might be the style one thinks of when thinking of boy scouts on a camping trip. Tunnel: A tunnel tent is tunnel-shaped on top and long. These tents are great for sitting and visiting or for housing a handful of people. They offer ample sleeping and storage room, as well. Dome: Dome tents are shaped like a dome. They offer room to sit, and larger ones offer room to partially stand. Some of the larger ones offer more than one room and will sleep six or more people comfortably. Freestanding: Freestanding tents are designed to stand and have structure without stakes. If the weather is mild and not windy, then these are nice options for backpacking. However if the weather is going to be windy, you should use some stakes for extra security. Freestanding tents can easily be moved from one place to the other before staking (if you choose to stake). Tepee: A tepee tent is shaped like the tepees one might think of when thinking of early Indian reservation tents. They are large at the bottom and circular and gradually go up into a peak. You can find them in a variety of sizes, too. Some of the largest feature three rooms and are perfect for family camping tents. Keep in mind the size and weight if you are using this style as a backpacking tent. Hoop: A hoop tent is similar in structure to a dome tent but is more oblong than round. The hoop structure allows for a large opening and lots of room inside for storage and sleeping. Many of these tents allow you to ditch two of the poles to make carrying them on your back lighter and easier. Single Wall: Single wall tents use one layer of waterproof material rather than two layers like the double wall tents have. You will find that they gather more condensation which means you might have to wipe the walls down in wet and humid conditions. Single wall tents are much lighter though, so many backpackers prefer this style when they hike. Once you get the hang of it, you should be able to set a single wall tent up from inside, too, which protects you from the outside elements. These tents work well in snowy environments, too! Other Tent Features To Consider…. Structures: Freestanding or Non-freestanding. Since a freestanding tent is designed to stand structurally without stakes, they are lighter to use when backpacking and are great during mild weather that is not very windy. If you are going to be in stormy or windy weather, it might be wise to use a non-freestanding style tent. These will weather the storms better, though they might be a bit heavier to carry along with you. You can also simply use stakes with your freestanding tent, too, for added stability. You can easily move a freestanding tent before staking it, while a non-freestanding tent requires staking when you set it up. Doors: One or Two. Some tents come with only one entrance door, while others feature two doors. Two doors are especially nice in larger tents or tents in which you’ll have more than one person or a lot of gear to store. You can easily enter and exit a tent that has two doors, vs. climbing over stuff to access one door. It all depends on what you’re comfortable with and how many people will be in the tent. Two doors will also offer more ventilation, which is always great to have in a tent. Pole Material: Fiberglass, Aluminum or Carbon Fiber. Fiberglass poles can be light, but are considered cheap. When they break they are difficult to perform emergency repairs, on, too. Fiberglass poles usually come with lower quality tents. Fiberglass poles are not near as sturdy or durable as aluminum or carbon fiber and should not be used for camping, but are adequate for back yard tents. Aluminum poles can also be nice and lightweight, and they are very sturdy, as well, however they can bend under extreme pressure, but are easier to repair than fiberglass tent poles. Aluminum poles can be some of the lightest tent poles available. Some types of aluminum are stronger than others, and the bigger around the pole is, the stronger it’s going to be. Smaller dome tents and tunnel tents often use aluminum tent poles. Carbon fiber poles are also lightweight tent poles (quite possibly the lightest poles available) and are extremely sturdy, as well. In fact they are probably the sturdiest of all. They reduce pole weight by half of the aluminum poles, which make them perfect to carry with you for your backpacking tents. Many professional grade and high-end tents come with carbon fiber poles. They won’t rust like aluminum and are super light yet very durable and strong. Pole Connection: Sleeves or Clips. Pole sleeves tend to create less stress on the tent fabric by distributing force over a larger area. Pole clips normally allow for a larger gap between the rainfly and the body of the tent, thus allowing for more ventilation in the tent. Many people when setting up tents use a combination of sleeves and clips. It really comes down to what is easier for you and what offers you better benefits. Wall Construction: Double or single. Single wall tents are lighter in weight than double wall tents, and backpackers will often opt for the single wall because of that feature. They feature a single wall of waterproof material rather than 2 walls. They do tend to gather more condensation though, which may require wiping the walls with a towel. The double wall tents are great for higher elevations and wetter weather conditions. They offer more protection form the elements than a single wall tent, but do tend to be a bit heavier. So keep that in mind when backpacking. If you are going to camp in tighter spots or snowy conditions, a single wall camp is ideal. For wetter and more humid climates and higher elevations, consider a double wall tent. When you are ready to purchase a backpacking tent there are several things to consider. I have covered what I believe to be some important factors when choosing a backpacking tent. Keep in mind tent shapes and styles and the features they offer, as well as pole materials, ease of set-up, durability, weather protection features and so on. Other things to remember to take into consideration when purchase a backpacking tent is the number of people who will use the tent, the distance you’ll be traveling while carrying it and the weight of the tent once packaged up to carry. Camping and backpacking should be a fun experience for you and your family, and the tent you choose can make your experience great or miserable. Always read the features of the tents you’re interested in as well as customer reviews when available. People who have purchased the tents are the best ones to listen to before buying. They are usually quite honest about the pros and cons of the tents they’ve used. Of course it might come down to budget for you when purchasing a tent. Look at the options in your price range and choose the one that will suit you best and that offers the features you want for the money you’re able to spend. 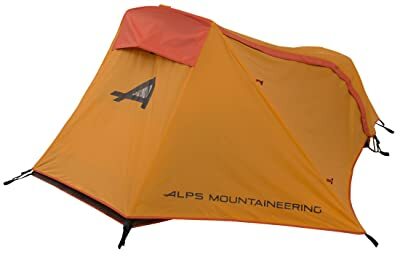 Sometimes you can find a great tent for a reasonable price, but keep in mind pole materials and other factors, because you want your tent to last for more than one backpacking trip. Will the poles be strong and durable? Will you stay dry during rain? Is the fabric strong enough to prevent rips and quick wear?